Today, EMMANUEL OLATUNJI is a published author, coach and online entrepreneur; but he has always been this. He moved from a crude writer in 2010 where he only shared his experiences on social media to become a refined writer and published author of five books and counting. The experiences between his beginnings to where he is today is not a funny one. However, he met financial challenges and surmounted them to publish his first book and hasn’t relented ever since. BROJID WORLD, Chief Content Officer, JOSEPH DINWOKE, encountered him and he obliged to share his inspiring story with us. Relax and savour the wisdom, inspiration and experiences. Pease let’s meet you…tell me a bit about yourself. I’m Emmanuel Olatunji, the exceptional being, a writer, coach and an online entrepreneur. I’m the author of several books including: My Encounter with Determination and Procrastination (MEWDAP), and 15 Ways to Choose Affluence Over Poverty. I specialize in helping individuals to become the best version of themselves, in life and in business. I’m the facilitator of the Writers’ Master Class, a monthly training where I teach people how to write well and profit from writing. I’m the founder of the Exceptional Being Academy, a community whose aim is to help individuals to live exceptional lives so that they can become the best version of themselves…. Please what does it take to join the community? Awesome. To join the academy, all you need is to click the link, www.facebook.com/groups/tebca, after that, check the Welcome Address pinned to the top of the group to get familiar with the community. So you were saying something before I interrupted…. Yes, as a born again Christian, I also founded Message for the Day, a daily devotional message for those who desire the undiluted Word of God. My works have been featured in several blogs in Nigeria and I was once a columnist on enterpriseboom.com, one of the best business blogs we have in Nigeria. My aim and mission is to see that people lead an exceptional life — spiritually, physically and financially — so that they can become the best version of themselves. I blog at www.theexceptionalbeing.com – my virtual home. I’m married to Shindara Olatunji. When did you start writing and what motivated you to write? Writing started intentionally for me in 2010 or thereabouts when God instructed me to start writing about my Christian experiences on social media to win people for Christ. However, I started crude but because I was intentional about it, I got better. How did you prepare yourself to write well? I had to think carefully before I could answer this question because I am so used to writing that I really don’t know if I have a specific way for preparing to write. However, I think my usual way of preparing to write is to ensure I have my phone with me. I hardly write on paper unless it’s necessary. There are fantastic writing apps on my phone which aids me whenever I want to write. All I do is pick up my phone and words begin to flow. I am a god when it comes to writing. I breathe writing and live writing. Hmmmm. This is a powerful question: what inspired me to write Becoming the Successful You? Well, I’d say people, particularly the youth. I am a handsome young man and with the position God has placed me in life, I have come to see that a lot people desire to be successful, however, many don’t really know how to go about truly becoming successful. This is why even though no one wants to be unsuccessful; we have many unsuccessful people in the world today. 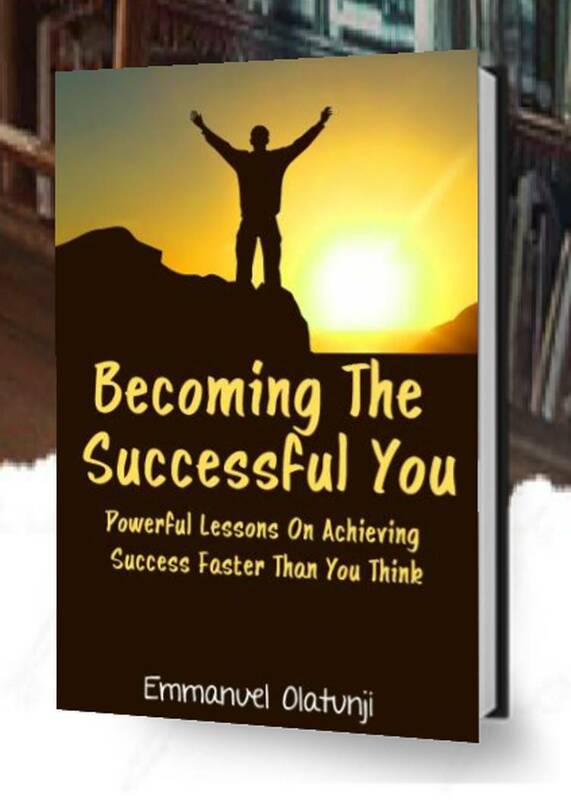 Therefore, I decided to write the book, Becoming the Successful You, so that I can personally help individuals, especially the youth to understand how to achieve true success. The book tackles success in its realest form. It reveals many success secrets of many successful people today. Becoming the Successful You, is books within a book. Yes, there are books even in the book. So, this is just more than a book. It’s a transformational manual for anyone who wants to achieve success today. What’s the book about? What’s in it for the readers? Oh. It seems I have slightly answered this question in the previous question. However, to add to what I have said, Becoming the Successful You is a 25-chapter book which teaches about success. Each chapter is a book on its own, however, every chapter reveals how you can obtain true success. Every reader of Becoming the Successful You will find the book scintillating and life-transforming. In it are thought provoking questions at the end of each chapter. These questions challenge every reader to think deeply and also help them to understand how to apply the principles they’ve learnt. What challenges have you encountered trying to write or publish? Awwwn. This is an emotional question for me because it immediately reminded me of the challenges I went through while becoming an author, and the several challenges I have gone through as a writer. I won’t be able to enumerate them all here, however, one main challenge I went through before I became a publish author was financial challenge. At the time, my manuscript was ready but the publisher I approached gave me a fee that was beyond me at the time. I sought the assistant of friends and everyone around me just to come up with the money but to no avail. Nevertheless, I didn’t give up. I kept pushing and in the December of that year, I published my first book MEWDAP against all odds. How can one get a copy of the book? Thanks for this opportunity. I really appreciate and I do not take this for granted. Editor’s Note: You can join in the book launch and get a chance to learn from exceptional people from different fields of life. « Best Spouse; not Domiciled in Your Village!